Two months after Venezuela unilaterally closed the border, deported more than 1,500 Colombians and deployed extra troops in the region, homicides on the Colombian side of the border dropped 10%, said Colombia’s defense minister. Colombian Defense Minister Luis Carlos Villegas said that “today the border is safer than 60 days ago” when Venezuelan President Nicolas Maduro closed the first legal border crossing. On August 19, Maduro ordered to close the border, send thousands of troops to the region and deport Colombians from Venezuela’s side of the border region where smuggling and drug trafficking have long been rife. According to the Venezuelan president, Colombia had been promoting the incursion of paramilitary forces and the destabilization of Venezuela’s already deteriorating economy. Analysts have said that problems with crime and poverty in the region were mainly due to long-lasting state neglect by both countries’ government in the border regions while Human Rights Watch accused Caracas of “fabricating” a crisis ahead of national elections in December. Maduro claimed last week that the ongoing closure and militarization of the border resulted in a 96% reduction in “terrorism, kidnapping, dismemberment and murder” in some of the border areas. The minister failed to mention the ongoing humanitarian crisis at the border caused by Venezuela’s sudden decision to close the border and deport Colombians. Since August 19, more than 22,000 Colombian citizens — many of whom former illegal residents of Venezuela — have fled the neighboring country. Almost 600 of them are still held in shelters along the border. Villegas and his Venezuelan counterpart, and Foreign Minister Maria Angela Holguin and her Venezuelan counterpart, have held several meetings to jointly work on border security measures, although no progress on these talks were made public until Saturday. Additionally, 131 Colombians and 30 Venezuelans were arrested for smuggling, Villegas said. 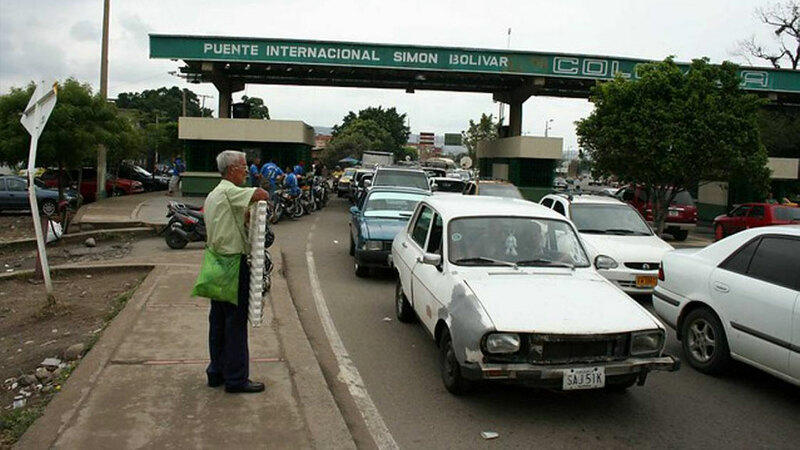 Maduro said Thursday that the border crossings will stay closed until both countries are able to guarantee security. The post Crime along Venezuela border dropped steeply after closing: Defense minister appeared first on .